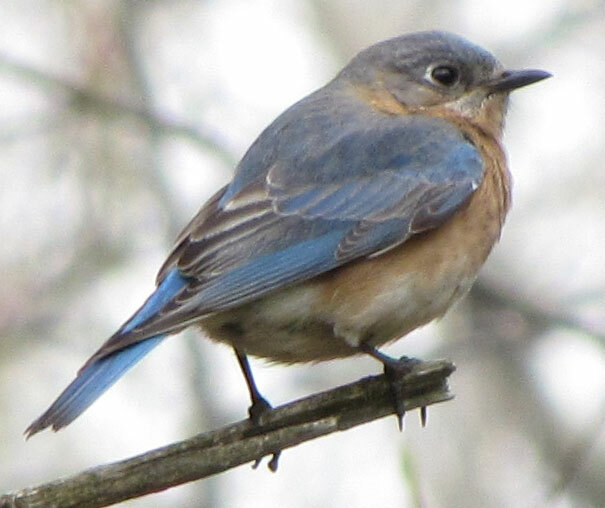 Eastern bluebirds are found from about Kansas eastward, so they are definitely found in Massachusetts. 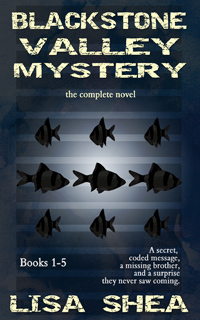 They are around 7 inches long and depending on the season can be dull blue to bright blue. 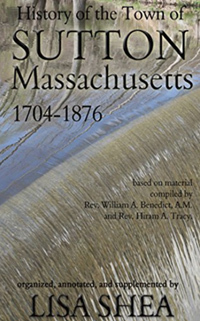 They generally like fields and woods. 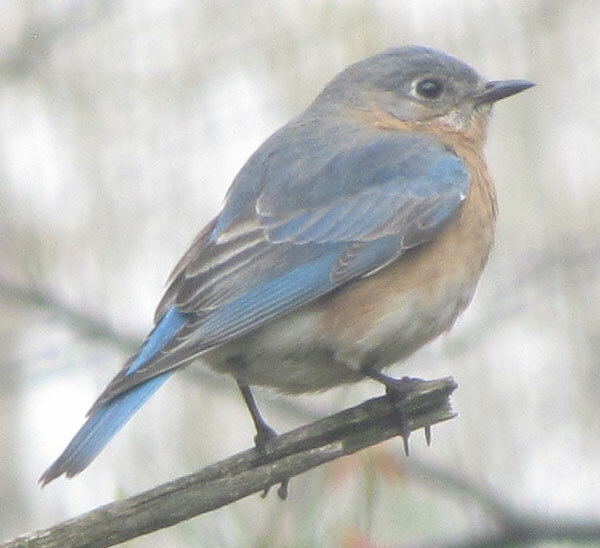 Even though I live in a fairly rural part of Sutton (and heck, this whole town is rural) I have only seen blue birds TWICE in about 15 years. So they are definitely not common at all at least in my neighborhood. 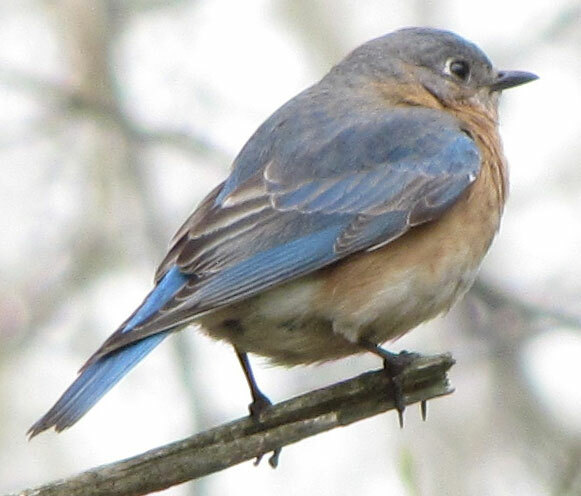 I'm curious if there is any location in Sutton where they see bluebirds frequently! 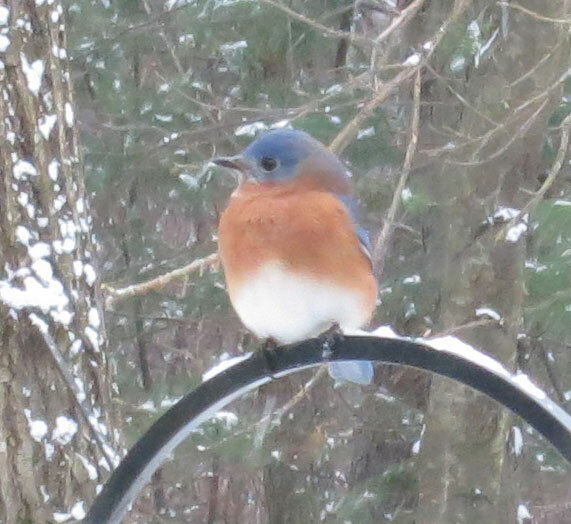 These below photos are from 2010, when a bluebird came to visit our suet feeder. 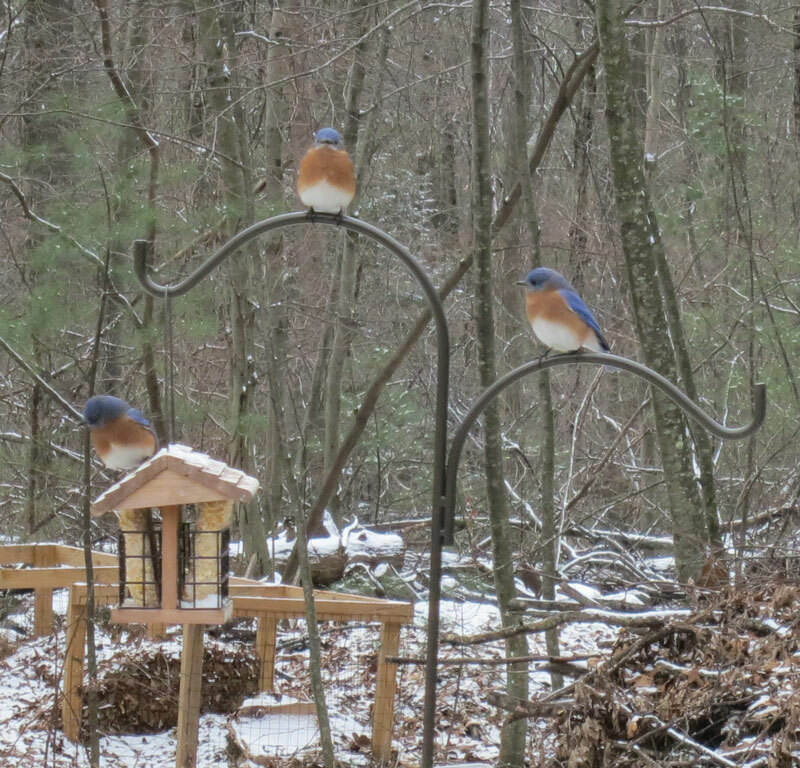 These bluebird photos are from Christmas Day 2012! Somehow we got an entire flock! Here's one from January 2013. 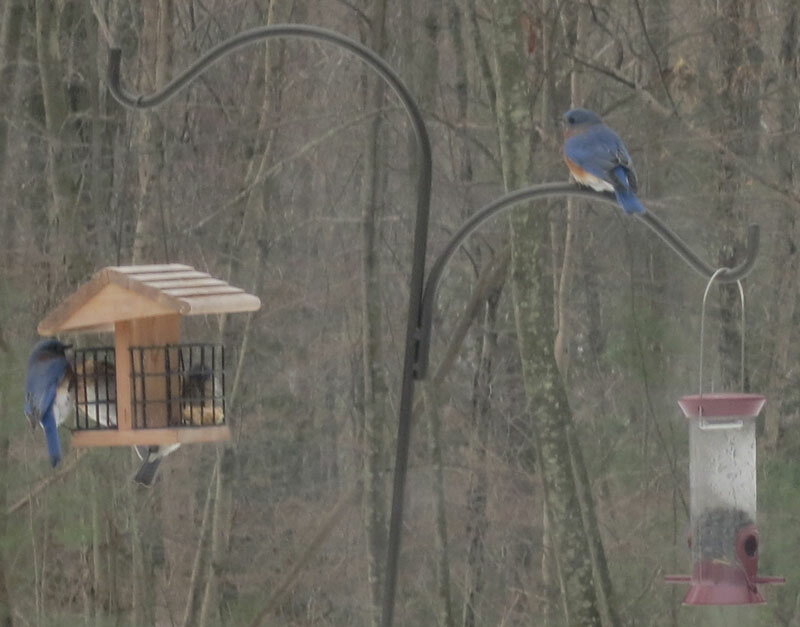 The flock stayed around, eating the suet.